I will forever be fascinated by Pixar. I love Pixar’s origin story with a fateful sale of the company by George Lucas to Steve Jobs. I define my children’s life stages by which Pixar movie was in theaters at the time. Living near Pixar’s studio, I drive by and think of the mysterious Willy Wonka factory and how I want to slip past the imposing walls. Alas, I have visited the Pixar campus … yes, magic is real. I read articles on how they create that magic by putting story first and using technology as just a better pencil. I have long talks with my daughter, soon to be a college graduate with dreams of entering that Willy Wonka Pixar factory each day as an employee, following her passion as an art student to forever create. I read more, indeed the fascination continues. 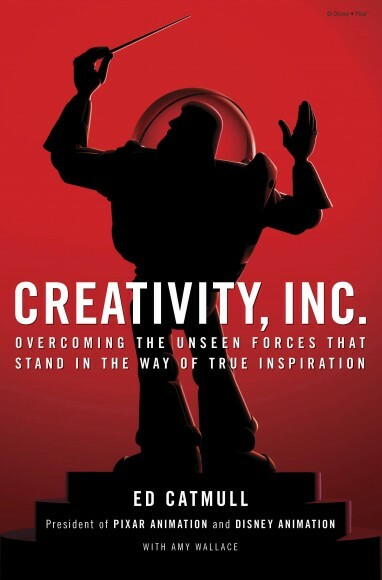 As such I await the upcoming book, Creativity, Inc. written by Ed Catmull, one of the founders of Pixar, and Amy Wallace. Fast Company Magazine has several articles recently concerning this book and related insights concerning the Pixar business model. One recent article caught my eye and it is well worth your time. In Building the Next Pixar, we get stories from successful Pixar alumni who left to create in a variety of business endeavors. Overall an excellent read and the lessons apply to all of us striving to create in our own organizations. One line though really struck me. Ed Catmull says the purpose of an organization isn’t stability, it’s balance. Yes. We need to strive for balance and worry when we tip the scale to stability. The two words and what they stand for are very different. Business leaders of the past indeed worked hard for stability, building a foundation that penetrated deep into the earth. In the past, this rock-solid stability worked. The world and our enterprise is changing so quickly these days. Today, we need only balance, a place where movement still exists. Yet we still remain solid and aware of our present position. It is work to maintain balance between the seemingly competing forces that dominate our organizations. Tension is fine. Tension is more than fine. Tension requires a resolution. Movement toward balance; a challenging road at times. No one said this will be easy. Balance is our goal, a lesson from Pixar and the many strong alumni that worked behind those tall walls and the artists who continue to create within the magical walls. Stability is a lesson from the past that applies no more. We move together in balance and success awaits. Very well said Michael. Your blog always makes me think differently after reading them. I’ve just obtained a copy of this book – so I’m glad to hear you enjoyed it so much. I’m also super impressed that you got to see the Pixar campus in person! Thanks for the visit. Yes indeed. Pixar is an inspiration. It was great to visit the campus. The staff is so dedicated to storytelling. Just got the book and plan to read soon. All the best.